Cankarjev dom – Cultural and Congress Centre will between the 28th of November and 1st of December 2018 host the 11th EPH – European Public Health Conference and its 1500 international delegates. The European Public Health Conference provides a place for representatives of public health associations to learn from the latest research and practice and to network with colleagues. The first conference was held in Paris in 1992. 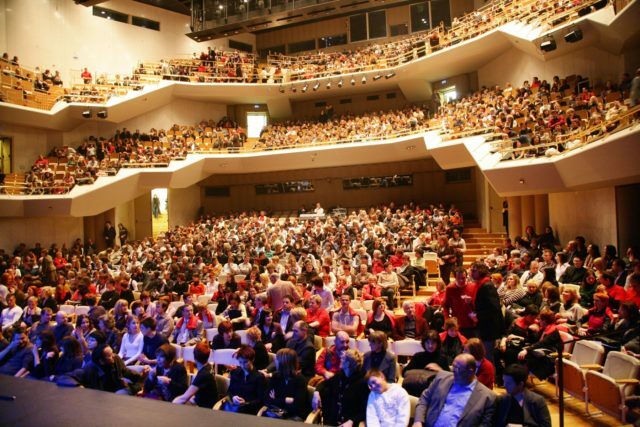 This year’s conference, held in Ljubljana’s Cankarjev dom – Cultural and Congress Centre, will bring around 1500 delegates. The aim of the conference in Ljubljana is to point out the importance of developing partnerships at all levels and across different actors to improve the health of the population. Partnerships are especially relevant in the local community, where people live and work. It is of the utmost importance that decision makers, professionals from different sectors and nongovernmental organizations work together in establishing population wellbeing through different levers, among others through more favourable living conditions and through comprehensive health promotion, and thus jointly contribute to better health for all. Through the plenary sessions, this vision will be further explored. The official Opening Ceremony of the conference will include prominent opinion leaders and policymakers from Slovenia who will introduce the main themes of the conference. The keynote speakers will be Violeta Bulc, European Commissioner for Transport, Vytenis Andriukaitis, European Commissioner for Health and Food Safety, and Tomo Križnar, human rights activist, documentary filmmaker, journalist, and worldwide traveler from Slovenia. Next articleMCE South Europe 2018, Thessaloniki is gearing up for the Event of the Year!